We have already covered a 5-days travel itinerary in Romania and offered you several ideas for one-day trips from Bucharest or examples of day trips in Transylvania, but now it is time to talk about what to visit in Romania during an extensive trip. Therefore, here’s a travel itinerary for a 10-days trip to Romania, which includes some of the most interesting places and attractions that you can visit during that time. 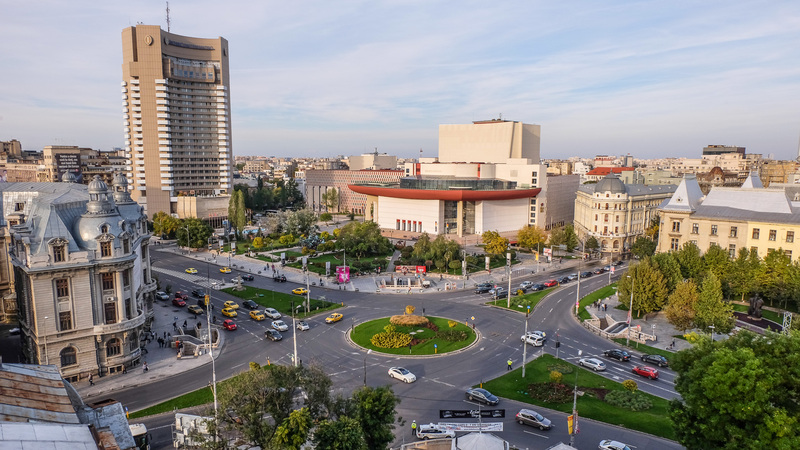 Start your trip to Romania by getting to know more about Bucharest, the capital city and the largest city in Romania. The best way to explore Bucharest in one day is to take a panoramic tour, which allows you to visit some of the most important Bucharest attractions, such as the Palace of Parliament, Victory Square, the former Royal Palace, do a little shopping and bar hopping in Bucharest’s Old District and make a stop at the Village Museum, one of the most beautiful and interesting museums in the country. 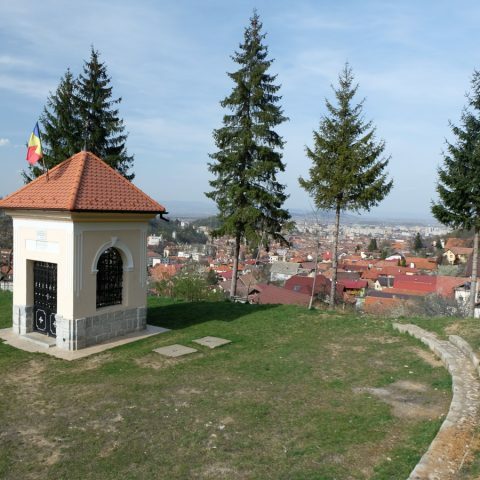 Next, with a short flight from Bucharest to Suceava, you will arrive in the north-eastern part of Romania, in Suceava and from there you can travel by car to Gura Humorului. This region is called Bucovina and it’s mostly famous for the painted monasteries and churches, many of them being part of UNESCO’s World Heritage list. 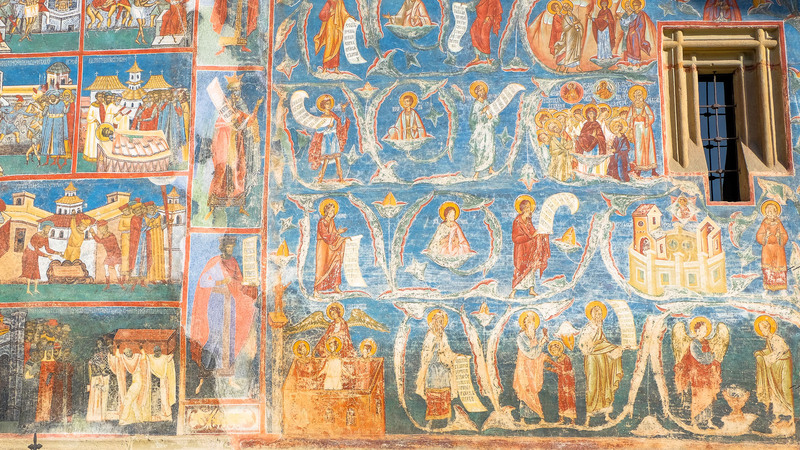 You don’t have to be a religious person to appreciate the artwork preserved from medieval times on the walls, the unique colors used by Romanian painters which were not replicated to this day (such as the “Voronet blue”) or to find out more about Romania’s history and culture. Furthermore, you can also see the beautiful ceramics with interesting and unique motifs created by craftsmen in Marginea village. The Marginea ceramics are mostly known because of their black color and interesting shapes. 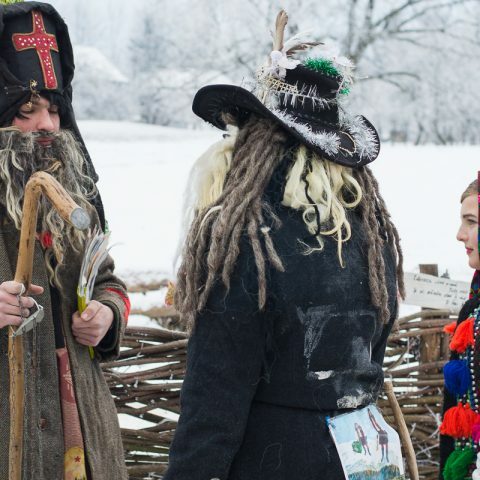 From Bucovina, you will travel to another picturesque region of Romania: Maramures. During the trip, you will cross the Eastern Carpathians during the famous Borgo Pass, which was described so well in Bram Stoker’s “Dracula”. You can enjoy a short break at Castle Dracula Hotel and do some sightseeing in Bistrita, one of the cities that has preserved its cultural and architectural medieval heritage. 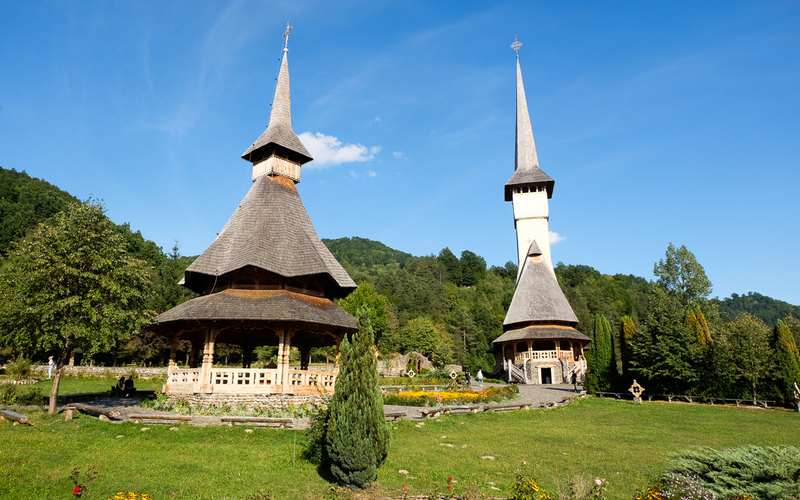 Finally, once you reach Maramures, also known as “The Land of Wood”, you will see why it has obtained its name. 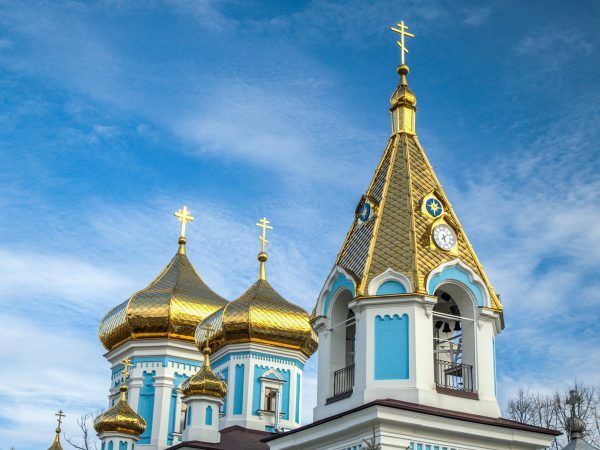 The region is famous for its wooden churches that are scattered all around the villages. The “must-see” attraction is Barsana Monastery, one of the highest wooden churches in the world. 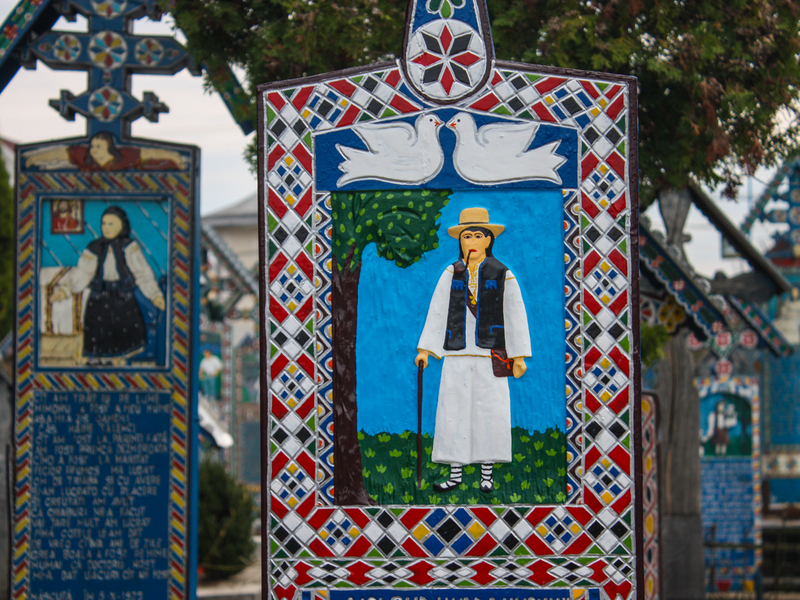 No trip to Maramures would be complete without a visit to Sapanata village, where you can see the famous Merry Cemetery. The cemetery is full of bright-blue crosses, with humorous epitaphs, reflecting the life of the deceased. This cemetery mirrors perfectly the self-ironic character of Romanians and their belief that death is not the end of something but rather the beginning of a new stage. In the town of Sighetu Marmatiei, you can visit the building of the former Sighet Prison, which is now a Memorial of the victims of Communism. Finally, you can spend some quality time in the village of Breb, interacting with locals and seeing how traditional alcoholic drinks are made (“tuica”). Moving on from the Maramures region to the center of the country, in the Transylvania region, you can start off by exploring the city of Cluj-Napoca. This is the largest city in Transylvania, with many attractions among which the Pharmacy Museum displays some interesting collections of old prescription jars and a complete laboratory and the Ethnographic Museum of Transylvania, founded in 1922, the oldest ethnographic museum in Romania. Of course, you will also have the chance to do some sightseeing in the Union Square and visit some of the many shops and cafes located in the city’s center. Just 20 km from Cluj-Napoca is the town of Turda with its famous salt mine. 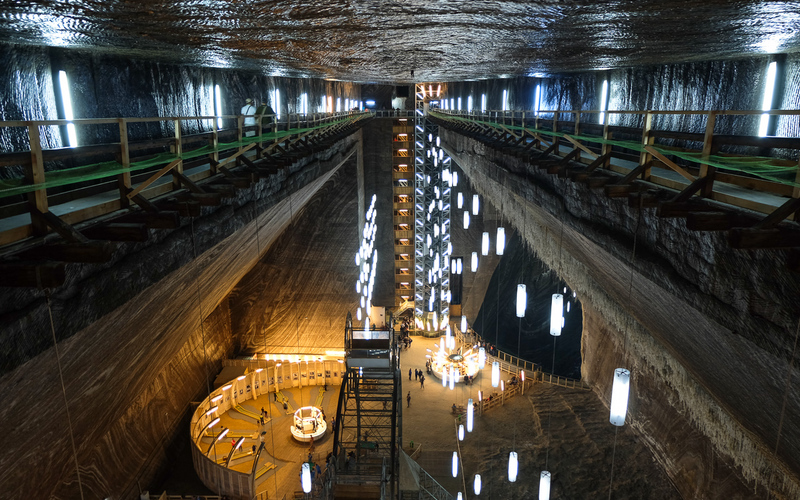 The salt mine is arranged like a real underground amusement park. After a visit to the salt mine, you will travel next to Sibiu, one of the medieval cities of Transylvania, with its architecture influenced by the Saxon culture, reminiscent of other German cities, such as Nuremberg. Some of the main attractions in Sibiu include the Big Square, the Liar’s Bridge and the Bruckenthal Museum, the oldest museum in Romania hosting many valuable art collections. 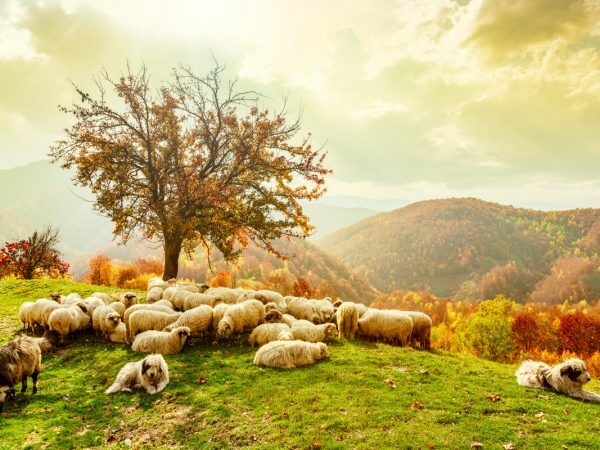 Travelling from Sibiu, you will arrive on the Hartibaciu Valley, one of the most important commercial routes in Transylvania during medieval times. You will have the opportunity to discover Transylvania’s countryside, with the Saxon villages. Biertan, with its medieval church and fortifications is included in the UNESCO World Heritage List. 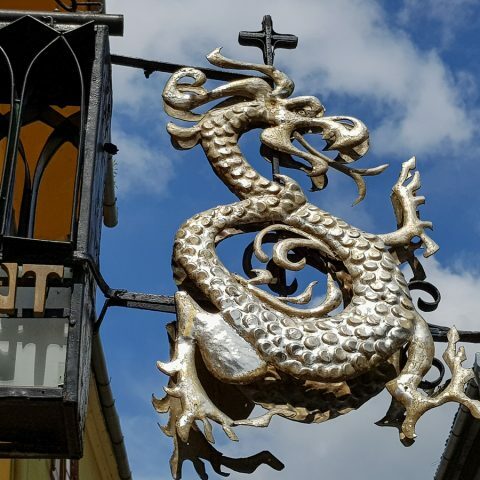 Keeping up with the medieval theme, from Biertan your trip brings you to Sighisoara, the only preserved medieval town in the world which is still inhabited to this day. In the town you can visit the real home of Vlad Tepes’ family as well as other medieval sights, such as the fortress and the towers (the Clock Tower, the Tailors Tower and the Tinsmiths Tower, to name just a few). Your travel itinerary will continue with a visit to Viscri village, with its medieval fortified church, one of Prince Charles’ favorite places in Romania. 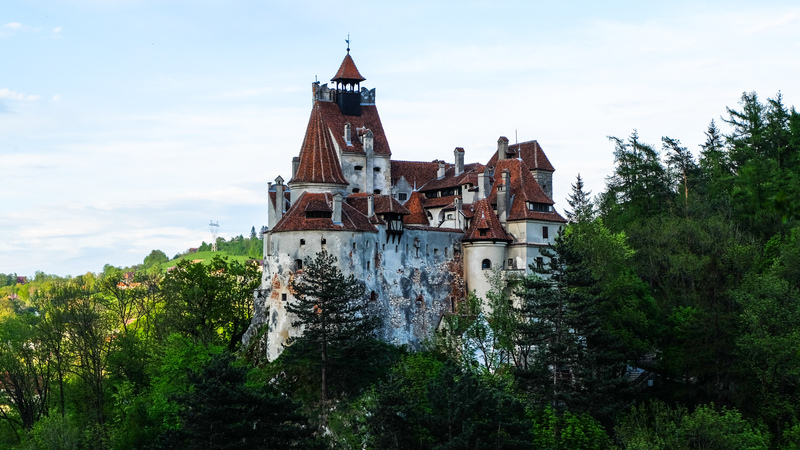 Not far away, is probably the most famous castle in Romania, Bran Castle (also known as Dracula’s castle). This castle inspired Bram Stoker to use it as Dracula’s castle in its novel. End your day with a sightseeing tour in Brasov, one of the oldest medieval cities in Europe, with the Council Square being the main attraction. 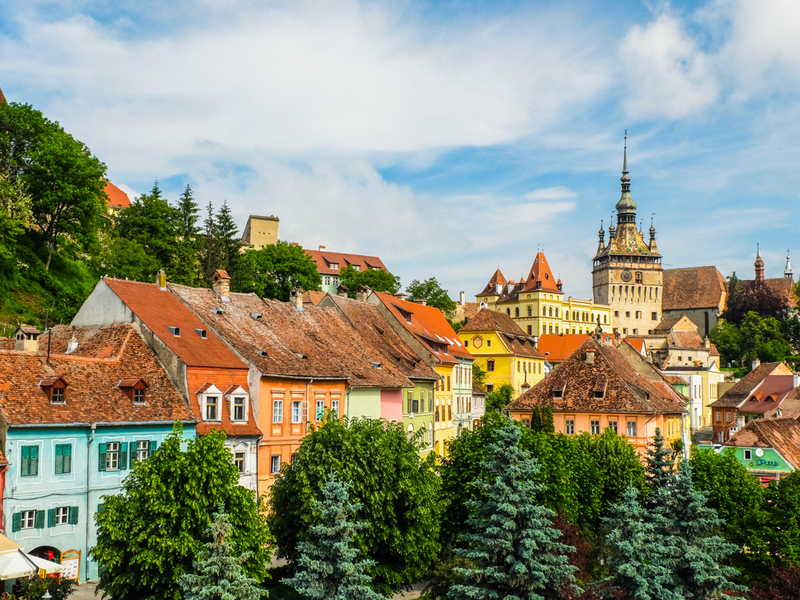 Continue exploring Brasov more in depth, with a visit to the Black Church, the largest gothic church in Romania, the Weavers Bastion, the largest medieval bastion in the city and Rope Street, the narrowest street in Europe. Your journey brings your further through Transylvania, heading next to Sinaia, one of the most popular mountain resorts in Romania, but also the place where you can visit Peles Castle, which impresses through it architecture an innovation (for its time) as well as through the beautiful art collections. 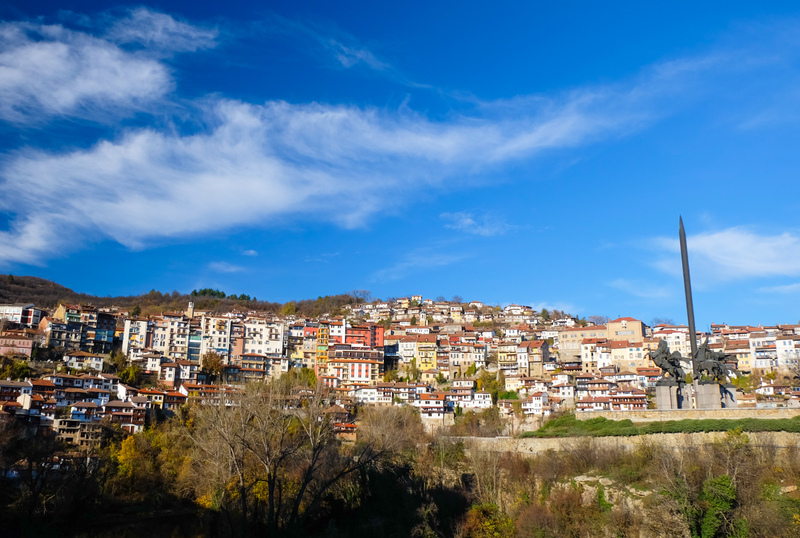 The last day of your trip will bring you back to Bucharest and you can visit the northern part of Bulgaria on a short one day trip. Don’t be surprised to encounter many Romanian tourists, who often go for short trips to the neighboring country, regardless of the season. 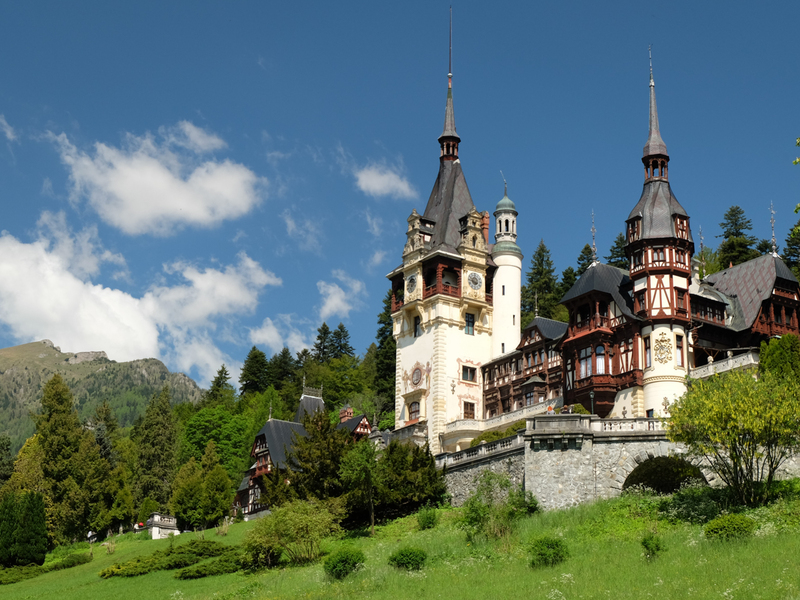 If this 10-days travel itinerary to Romania is something that might sound appealing, you can book our Grand Tour of Romania which includes all the locations and attractions mentioned above, or you can create your own custom private tour of Romania. I really like what you are doing and some of your tours will be wonderful for tourists who do not know Romania and do not have the time to explore as I have. However, I would advise foreign tourists to ignore București (and the Black Sea resorts) and visit the ‘real’ România outside of the capital city. The only part of România I have not visited is the Danube delta, a pity but I’ve always been worried about the mosquitoes. For British tourists they can now fly direct from several UK cities to several romanian ones like Suceava, Cluj, Sibiu, etc. I wonder why no tourist information mentions Pelișor which for me is more attractive than the admittedly magnificent Peleș. 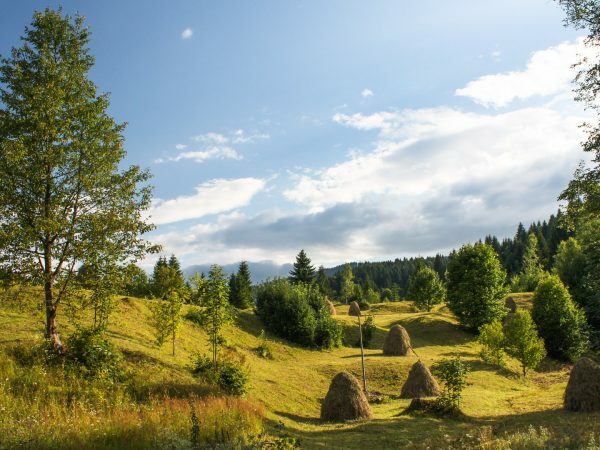 Also, to know the real România you have to spend some time in the villages, particularly in the Bucovina and Maramureș, stay with a family and experience their wonderful hospitality, and ‘catch’ the wonderfully preserved traditions before they disappear. Dear Grumpy, Thank you for your kind words. Indeed, Romania is a divers travel destination, offering a wide range of outdoor activities but also interesting historical cultural tours, It might not be a prestigious travel destination as many other country of Western Europe but you can have here some amazing travel experiences with less expenses. We don`t consider Romania a cheap travel destination but much more affordable than other popular travel destinations. You can find nice places either hostels, hotels, apartments or guest houses and have some delicious meals in so many Transylvanian Restaurants. I always recommend Peles Palace which is a fabulous architectural masterpiece but Pelisor , I think is just another palace. We are doing or best to offer unique travel experiences and I see more and more foreign tourist interested in eco friendly tours or rural tourism. This is why we combine hiking or biking tours with remote mountain villages experience and traditional crafts. Best wishes and hope to see more comments like yours. Sincerely yours Ion Dima – Romanian travel guide.